Introduce yourself. When did you realize you wanted to become a writer? 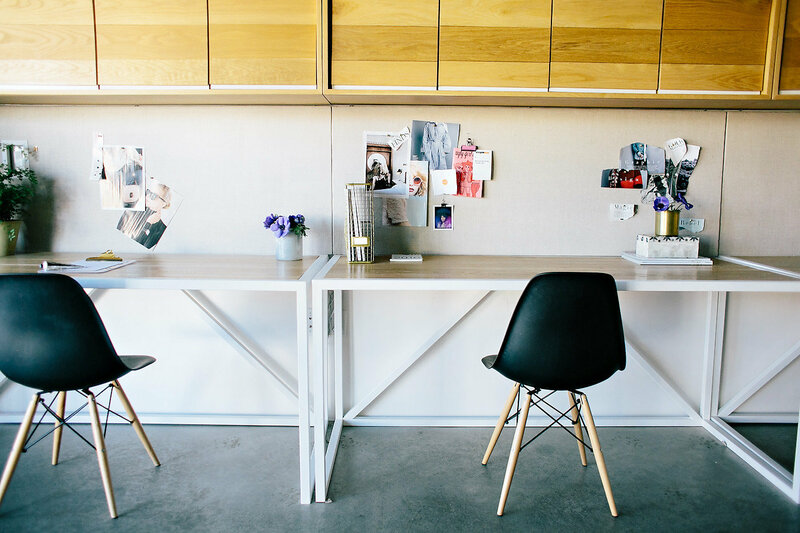 I am the editorial director at Create & Cultivate. I’ve been writing forever, but it took someone outside of myself to realize I was “worthy.” I had just come back to LA from college and I met an tiny old lady in a bow tie on the street. This sounds made up. It’s not. She approached me and said, “You look like a writer to me. I have a group. We meet at my house. I make dinner. You bring three pages and read. You bring no pages, you get no food.” She gave me her number and I googled her. It was legit, shockingly. I showed up on a Monday night, I read, I ate, and for first time in my life I felt full. Your daughter is so cute and we adore seeing her photos on your Instagram! We hate the word balance because we know that in most cases… it’s unrealistic, especially when you don’t have a lot of help as a working parent. How do you handle being a working mom in such a demanding industry? Balance is a mother fickle word that causes us more stress in our quest for it. We hear this time and again, and yet, we all refuse to believe it: Balance doesn’t exist. So why can’t we stop talking about it? It’s become so popular to say, “you can have it all, but not at the same time,” but that’s a little counterproductive as well. It still implies that there is an “all” to “have,” that it’s somehow yours for the taking or it’s something you should possess. Then it becomes something outside of yourself and that’s where we really get into the struggle. Once you let go of this idea, it’s a whole lot easier to live day to day. I handle being a working mom by 1. accepting that I will never make it work the way I’ve envisioned and 2. setting boundaries from the gate. My job requires me to work weekends, nights, and basically be on call. We’re a startup. I signed up for it willingly. In some ways I’m also the mom of my career. But practically speaking, Fridays I work from home. Two work days per week I leave at 6pm on the dot, no matter what. I pick up my daughter, we have dinner, I give her a bath, and I hold her close. I’ll also say this, same for balance and adults— structure is important with kids. So is taking a nighttime walk and howling at the moon when you’re supposed to be in bed. stress in our quest for it. Walk us through your mornings with your family to your workday. How does your normal workday look like? I’m a single working mom so mornings are manic? You try to get on a schedule and it falls apart three days later. However morning goes a little something like this: Basil actually sleeps later than I do (life blessing), I make breakfast and shower (sometimes) before she gets up, feed her, dress her, and run out the door. We’re always rushing, but we make it work. And we “dance party please” in the car. I get to work around 9:30, email, write, email, transcribe, conduct an interview, meet with Jackie, on repeat. You seem to love what you do, but work is still work. How do you maintain a healthy work/life balance? I do. It’s probably my second biggest blessing (late sleeping child being the first). The reality is the need to produce so much content wears on you, especially when it’s content that you’re creating for other people. 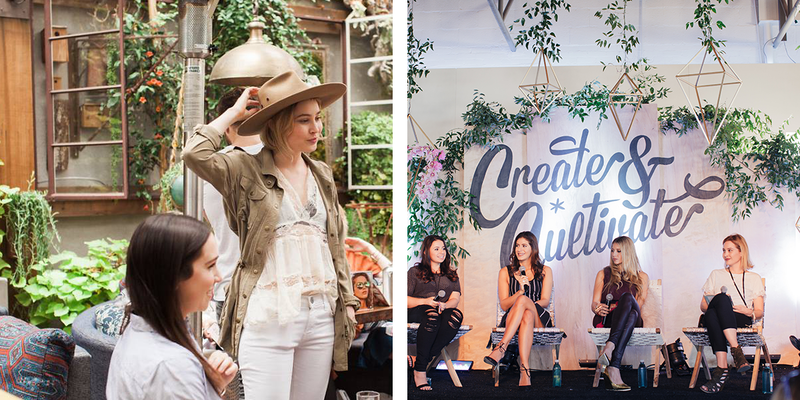 Create & Cultivate truly is about helping women create the career of their dreams. I don’t take it lightly that I’m dishing career advice. At the same time, I’ll forget about creating the career of my dreams. I have to write for myself. In some ways it’s still work, but it’s also where I find the most pleasure and the biggest release. Writing is my passion, it also happens to be my career. That’s very lucky and yet, those things are not one in the same. The healthiest understanding I’ve come to is simple: just because I get to write for money doesn’t mean that I don’t have to write for myself. Where do you find inspiration when it comes to writing? I have a kind of hidden tattoo that says, “One sees a fin passing out far.” It’s so weird and random and everyone has a WTF is that moment? Which, is fine. It’s not for them. It’s a line from Virginia Woolf’s diary— entry date September 30th. It’s about feeling creatively blocked and lost. It’s about not being able to surface the feeling in your gut, but then seeing an image in the distance that jolts you. A fin, a smile, a smell, maybe a dead grasshopper in a sink— literally, anything. If you want inspiration, stop thinking about yourself. What are some of your favorite topics to write about and how do you cure writer’s block? Love, loss, unsung humanity. The parts of us that fit together, that actually don’t. People think about puzzles as needing to form a whole, seamless picture. But how boring is that? Honestly, you don’t. You wait. Just because you know a lot of words doesn’t mean you should put them to paper. Which means you might stare at a wall for hours. You might miss a deadline and need to rejigger your editorial calendar. But I’d rather move stuff around and be stressed for a sec than put up something that’s crap. Sometimes your words and your brain are like oil and vinegar; it doesn’t matter how much you shake it up, it won’t mix. And if you force it, same idea applies. It’s just weird blobs floating inside oil. The people I talk to, hands down. Female founders. Bosses. Entrepreneurs. Everyone has something different to say, and yet there are through lines. It’s both motivating and reminds me that we aren’t all that different. What does a 23-year-old Canadian poet have in common with Moira Forbes have in common with the founder of female street wear brand? A whole lot more than you’d think. I wish I had a great answer for this. I have favorite authors: Gunter Grass, Virginia Woolf, Erich Maria Remarque— actually, I think if I had to nail this down my favorite opening pages of a novel are from Remarque’s novel A Time to Love and a Time to Die. It’s fantastic writing and it guts you open and pulls you in simultaneously. Maybe I have a thing for war novels. What advice would you give to working moms? Ask for help and listen to your kids for the advice you need. The other day I was on a deadline, trying to make dinner, on the verge of tears and my daughter walked into the living room and announced she was “princess superman.” I took a beat, now on the verge of crying for a different reason and thought, damn me too. ME TOO. What advice would you give to aspiring writers/editors? Use the challenge of “nobody reads anymore” to make something worth reading.